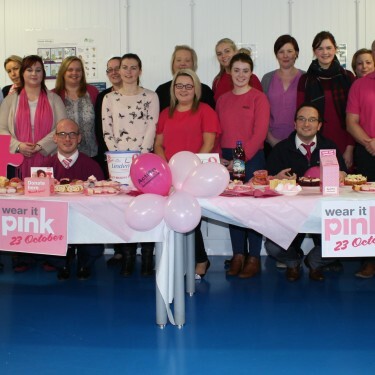 Fane Valley and its group of companies recently took part in a pink coffee morning with all proceeds going towards Action Cancer’s breast screening and therapeutic services for breast cancer survivors. Over 60 free mammograms will now be made available because of the efforts of the wider group staff and the generous donations from Fane Valley Stores customers. Over 20 different Fane Valley sites across the province, including Linden Foods and White’s Oats, took part in their annual pink-themed coffee morning for Action Cancer’s Paint The Town Pink campaign. The money raised funds early detection breast screening and counseling sessions for survivors. Linden Foods would like to thank all their very generous staff and customers for supporting the charity.